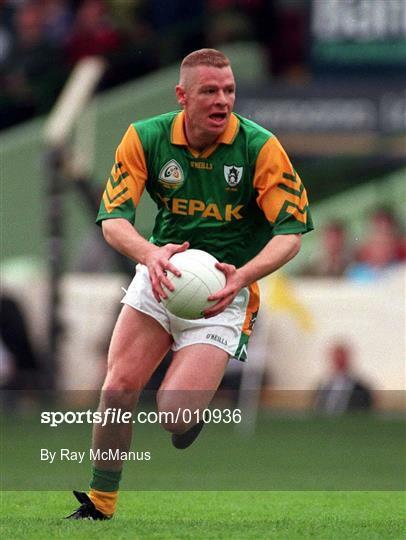 There also was high expectations with Andy coming in and especially in his second year with some of the minors he won Leinster with in the team but for whatever reason the performances haven’t materialized apart from two dogged defeats to Donegal and Tyrone. People really want to see something this year. I'd go along with that. We beat Meath without breaking a sweat last year and we were probably the best team in the division (I'll get slated for saying that but we didn't deserve to go up all the same) if Meath haven't improved on last year we have a chance but we are down bodies and not in the best of places. Surprised to hear that ? Who have you lost ? But did his predecessor not say that it would be 2 managers later that things might start clicking ? Yes he did. But he’s not a prophet. And it doesn’t stop people getting their hopes up especially when we got a manager and players who’ve had some level of success. If Jamie Clarke, Brendan Donaghy, Aidan Forker and Mark Shields are all out Armagh are less likely to cause upset victory this weekend. Well they probably never mop the floor there. Looking at the odds and teams it's def going to be an interesting league 2 this year. I would def agree Donegal are rightly favourites, reading here if Kildare are missing a few key men that could hit them hard. As for the next four teams (Cork, Meath, Armagh & Tipp) I don't believe there will be much between them and anything could happen. To be fair i don't know a whole pile about Clare but they'll not be easy beat either, Fermangah beat Armagh and Monaghan last year in the Championship and you just don't know what you'll get from them. They're very defensive and not easy on the eye but effective. All in all it's just so hard to predict and any team is capable of anything if they get off to a good start, looking forward to it all the same. Think will be struggle for Clare in league this year. Have stayed up against the odds the 2 last years with tiny resources. Eoin Cleary is missing for first couple games too so will need Keelan Sexton and Jamie Malone to step up in forwards. Dean Ryan is back from travels and will be an addition in the backs. What do you know that the rest of us don’t?